Taking a step back in time and dressing up as my former self | Gorgeous two pieces from Lily and the Lamplight | Dug out the old trench coat! | Yummy chocolate goodness that Dan brought me back from York | Stall set up at Preston’s Winckley Weekend | Couldn’t resist a snap with this awesome UCLAN Instagram frame! | Lovely location for outfit pictures at Houghton Tower | Beautiful Great Plains dress | Editing more outfit photos | Getting exciting for the Crafty Vintage Weekender | Toby loves bath time…. not | Time to see if Nars Sheer Glow lives up to the hype | Loving Primark’s £2 scented candles | Day one at Crafty Vintage, all set up with my stall! | Enjoying the cutest cocktail ever | Some of my April beauty favourites. 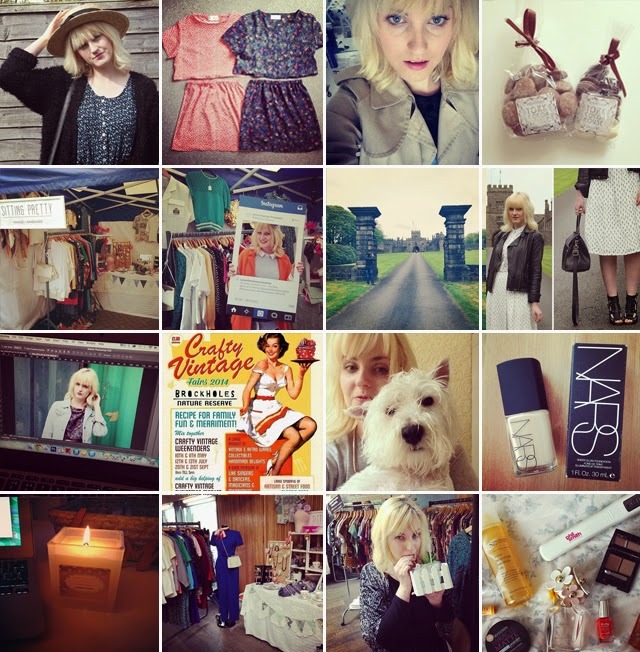 "A WEEKEND WITH CRAFTY VINTAGE"